With the exception of ten countries in the world, according to the World Health Organization's 2005 report, women outlive men. In the United States, women outlive men by 5.3 years. 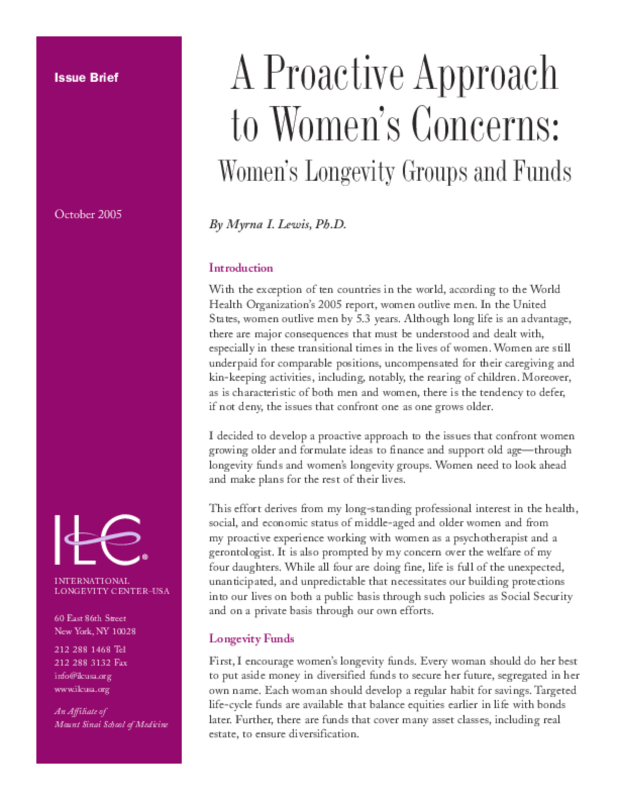 Although long life is an advantage, there are major consequences that must be understood and dealt with, especially in these transitional times in the lives of women. Women are still underpaid for comparable positions, uncompensated for their caregiving and kin-keeping activities, including, notably, the rearing of children. Moreover, as is characteristic of both men and women, there is the tendency to defer, if not deny, the issues that confront one as one grows older.